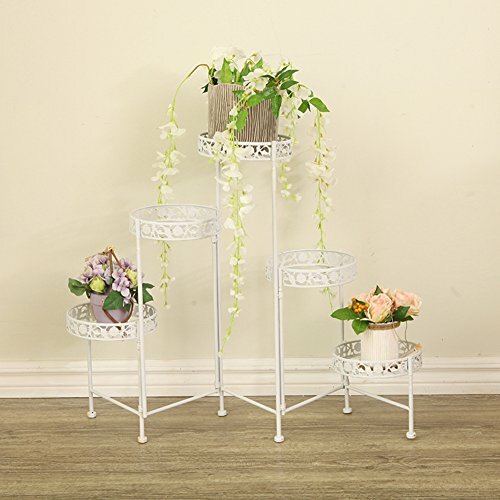 1.If you are a love flower of personnel,You can choose this flower rack,So that your friends come to see it will be full of praise,Stare,Bid farewell to the flower pot messy,From a more beautiful corner,So that your home to improve a grade! 2.Do not worry about wind and rain,This flower rack is carefully selected by our material cast,You can put in the garden,You can also at home. 4.Spend your pots together with a flower rack,Showing a vibrant scene! View More In Hanging Planters. If you have any questions about this product by SHDUAYGSCXS, contact us by completing and submitting the form below. If you are looking for a specif part number, please include it with your message.